In the summer of 1985 travelled to a jobsite on the North Slope of Alaska. Flew across the country from Buffalo to Anchorage. Spent two days there did a little touring around, then continued on to the Prudhoe Bay oilfields for work. The picture below shows the Anchorage skyline as viewed from my hotel room, with Cook Sound in the background. 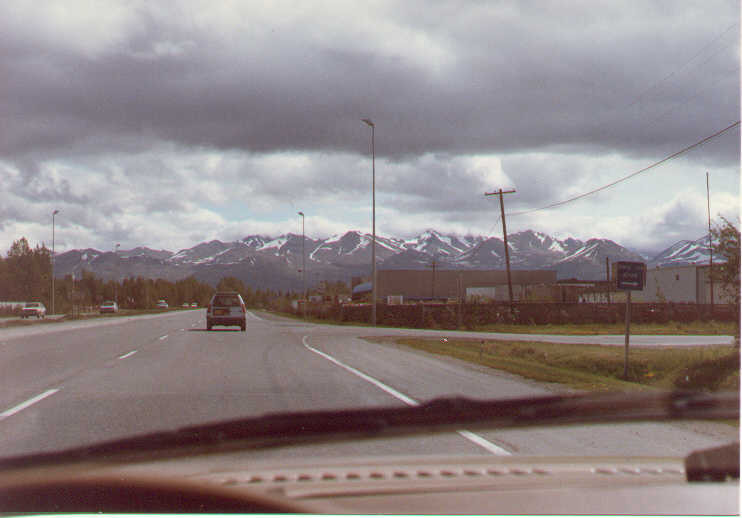 It was overcast much of the time I was exploring Anchorage. But whenever the clouds broke, snow covered mountains could be seen in most every direction. Majestic Denali was visible way off to the north.